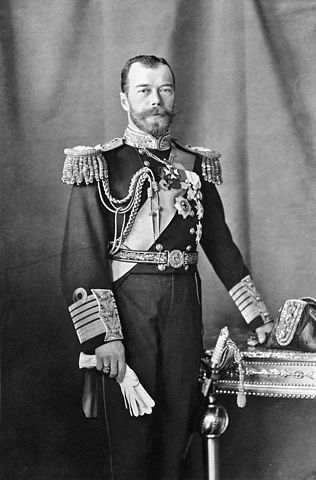 Nicholas II of Russia was the last emperor (Tsar) of Russian Empire. His dominion include whole of Russian Empire along with Finland and Poland. He remained the Tsar of Russia from 1894 to 1917 before his abdication. During his reign, the Russian Empire declined internally and externally. Russian army and navy suffered one of the most humiliating defeats in Russian history against Japan during Russo-Japanese War (1904-05) while the condition of Russia was also miserable during World War 1 (1914-18). These defeats and other matters affected the economic conditions of the empire very badly due to which he initially had to replace the absolute monarchy into constitutional monarchy after Russian Revolution of 1905 and later the Russian Revolution of 1917 brought an end to his reign and replaced monarchy with communist rule. On 17th July 1918, Nicholas II was killed along his whole family by the new soviet rulers of Russia. Nicholas was born on 18th May 1868 in Saint Petersburg. He was the eldest son of Russian Emperor Alexander III. His mother, Maria Feodorovna, was the former princess of Denmark. In March 1881, Nicholas became the Tsesarevich (heir) of the Russian empire when his father became the Russian Tsar. In 1891, he survived an assassination attempt during his visit to Japan. On 1st November 1894, Nicholas II became the Emperor of Russia and later in the same month, he married Alexandra Feodorovna (granddaughter of Queen Victoria of UK). Coronation for Nicholas was held on 26th May 1896 in Kremlin. For celebrating the event, a large festival was held for the citizens of Moscow in Khodynka Field (large military training ground). Rumors spread that food and drink would not be enough to distribute among every participant. This make the people rushed forward to take their share of food and drink and a stampede occurred which resulted in the death of around 1400 people while around same number of people also injured. There were total 100,000 people gathered at the Khodynka field. This event is known as Khodynka Tragedy. From 1903 to 1906, several anti-Jewish pogroms (riots) occurred in different parts of Russia. Thousands of Jews were killed and injured during these riots and many of them left Russia. Publically, Tsar Nicholas II criticized the riots but it is alleged that he himself was behind these riots in order to get public support. Russo-Japanese War (Feb 1904- Sep 1905) was a major and destructive event during the reign of Nicholas II. The war was fought for the control of Manchuria (now in China) and Korea. Russia suffered complete defeat at the hands of Japan as it could not win even a single naval and land battle in the war. This defeat worsened the economic condition of Russia. On Sunday 22nd January 1905, factory workers gathered and marched towards the Winter Palace of Tsar Nicholas in order to present a petition against the cruelty of factory owners regarding low wages and long working hours. On that occasion, the solders of Imperial Guard fired upon the unarmed protestors. Official figures told that the number of killed and injured were 96 and 333 respectively. Unofficial sources claimed the numbers to be in thousands. This incident is known as Bloody Sunday. Bloody Sunday was the start of the Revolution of 1905. This revolution lasted from January 1905 to June 1907 which included strikes by factory workers, unrest among peasants and mutinies by soldiers. The government suppressed the revolution by force with thousands of people died and imprisoned but it forced Tsar Nicholas to formed State Duma in 1906 which changed the absolute monarchy into constitutional monarchy. The mysterious saint Grigori Rasputin also had important role during the reign of Nicholas II. Nicholas had four daughters and only one son Alexei Nikolaevich who was the future heir of the throne. But Alexei was suffering from hemophilia (disease with problem in blood-clotting) due to genetic disorder. There was no medical cure for the disease at that time but strangely Rasputin’s “treatment” was quite effective for the royal patient which made him (Rasputin) an influential person in the palace. He was later killed by the relatives of Tsar in December 1916. In 1904, Great Britain and France signed an agreement to counter threats from Germany while Russia also joined the treaty through Anglo-Russian Convention in 1907. On the other side, the opposite Triple Alliance had already been formed in 1882 between Germany, Italy and Austria-Hungary. The World War 1 started after the assassination of heir of Austria-Hungary by a Serbian nationalist on 28th June 1914. Nicholas tried his best to prevent any confrontation with Germany but the emotions were high and a full scale war started between the two opposing sides. The performance of Russian Army was satisfactory against the Ottomans but they were badly defeated by the German forces. The whole Second Army (strength 230,000) of Russia was destroyed during Battle of Tannenberg (August 1914). Germans occupied Warsaw (Poland) in August 1915. This and other military defeats turned the people against the Tsar while economic conditions in the country were also getting deteriorated and the body count of Russian soldiers were increasing rapidly. The Russian Revolution started in February 1917 after which Nicholas II surrendered the throne in favor of his brother Grand Duke Michael Alexandrovich in March 1917 but Michael refused to accept the offer unless he is accepted by Duma. Instead, the Russian Provisional Government was formed which was taken over by the soviets in November 1917. The soviet government also arrested the royal family, in Ural at that time. On 17th July 1918, when the Russian Civil War was going on between the soviet Red Army and anti-revolutionary White Army, Nicholas II and the whole royal family was shot dead by the soviets. 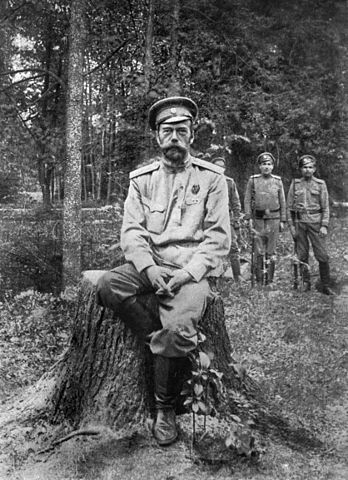 Nicholas II was the last Tsar of Russian Empire and the Empire was replaced by communism after his death and soviets victory against the White Army. At the time Nicholas took over the throne, the condition of the Empire was not such bad which could not be settled. But defeat of Russia during the Russo-Japanese War and their weak condition during World War 1 worsened the political and economic condition of Russia. Nicholas proved to be a failed military commander during these wars. Also, the way Nicholas handled the economic condition and subsequent strikes was also different from a capable leader. Bloody Sunday is an example of his mishandling of situations. His failure resulted in the occupation of Russia by the communists and this event later affected the whole world in the second half of 20th Century. But the cruel assassination of Nicholas II along his family by the soviets is also a remorseful event.